Foto: Raja Bahari | Fuji Maru för ankare efter sju dagar på Stilla havet. Finally it is official! 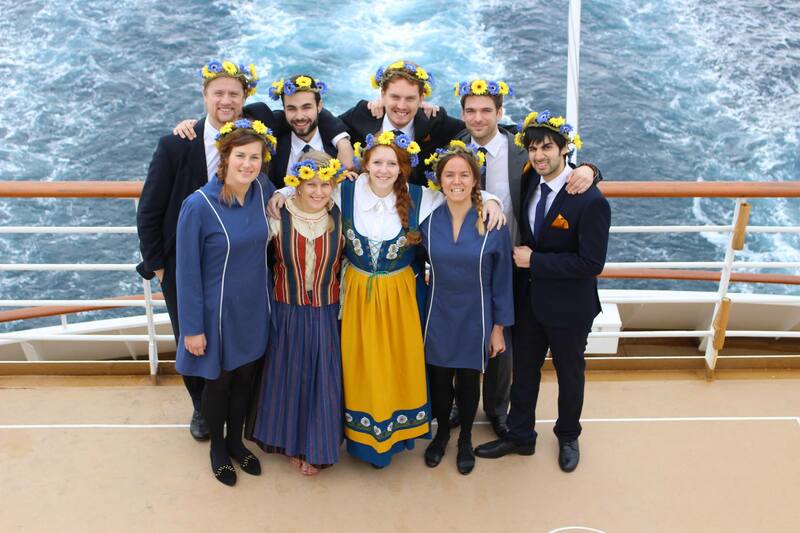 Sweden is invited to the Ship for World Youth Leaders ~MEIJI 150th~ in 2019. It is the sixth time since 1988 that Sweden will send a delegation to one of the worlds most prestigeous cultural exchange and leadership programmes. Will you be on board in January 2019? 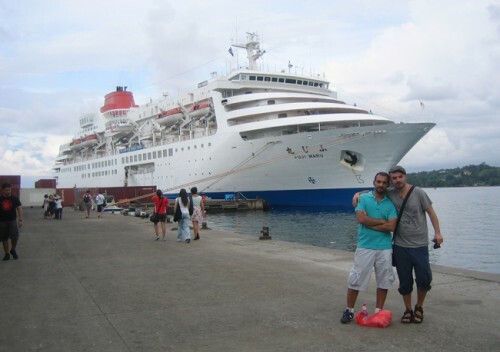 The program is the 31st batch of the Ship for World Youth Programs and in 2019 it will start in Japan and the ship will visit Palau, Darwin and Brisbane in Australia and finally Honiara on the Salomon Islands before returning to Japan. There is a pre-departure program preparing all participants for their overseas journey, followed by the onboard program with an intense schedule including everything from course discussion to cultural club sessions and national presentations. All detailed information, application procedure and criteria for application can be found on the embassy website (link) and there is more background info on the international official page about the program (here). 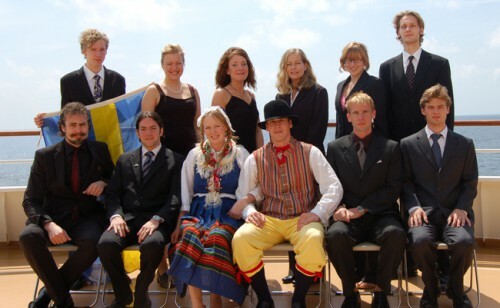 Swedish Delegation to GLDP (SWY26); Per Örlander, Anna Bengtsson, Paul de Font-Reaulx, Sofia Jagbrant, Anna Rydborg, K-G Eriksson, Sara Jonsson, Robert Cedermark and Shahyan Khan. This exchange and leadership program also has a strong component of cross-cultural understanding and peace-building. One of the aims is to foster international relations and future leaders that can make significant contributions to their societies in the form of post-program acitivities. In that sense, one could say that the SWY-program participation is the start of a lifelong commitment to do good and foster cross-cultural understanding and friendship among people across the globe. In fact, maybe the greatest take-away from the program is the amazing international network you become a part of through your participation. The strong global community of SWYers work together though a network of international alumni associations on causes ranging from distaster-relief and humanitarian aid to educational projects and sustainability actions. Allthough many afforts are small and local, our joint community make a big difference together. 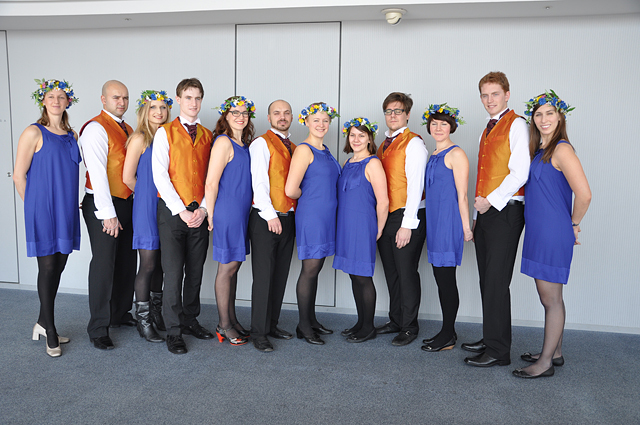 Swedish Delegation to SWY23 (2011): From left; Carolina Hawranek, Kassem Echehade, Catrin Wasberg, Carl Bradshaw, Åsa Danielsson, Raja Bahari, Karolina Leopoldsson, Malin Öhrman, Petter Falk, Anna Lind, K-G Eriksson, Virginia Palm. The alumni association to the program, SWYAA Sweden, is supporting the Embassy of Japan in Sweden to spread the word about the recruitment process. We gladly answer questions regarding the programme – as it is indeed hard to grasp this experience beforehand. The easiest way to get in touch is to wrie us directly on our Facebook-page (link). This is the sixth time that the Swedish delegation has been invited to the program, and we are a total of 52 alumni going back to participation as early as 1994. 49 of these alumni are still in touch and active in the association that maintains and develops international ties though reunions, official visits and global assemblies. To apply – go directly to the Application info on the offical page at en Embassys website (link). smart. I can’t wait to read far more from you. This is really a terrific site.